How efficient is UV-Cleaner Recirculator? UV Cleaner-Recirculator is efficient against most microorganisms, see report. Experimental data of Biosan`s UV Cleaner-Recirculator efficiency of DNA amplicon decontamination can be found here. Does tripod go together with the insturment in the original set? No, but it can be ordered separately. What are the main application areas for UVR-M? 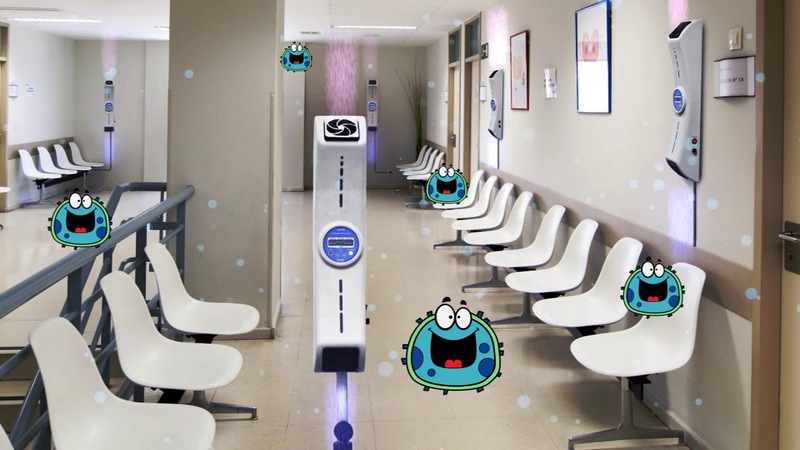 Recirculators are effective against common airborne diseases by disinfecting the air and efficiently destroying disease-causing agents (viruses, microorganisms) by UV radiation. UV Air Recirculators are ideal for air disinfection in hospitals (outpatient departments, operating rooms, emergency rooms, delivery rooms etc. ), kindergartens, research laboratories, veterinary clinics, schools, offices, etc. How long is a service life of a UV-lamp?